Kildrummy, Alford, Aberdeenshire. AB33 8QS. 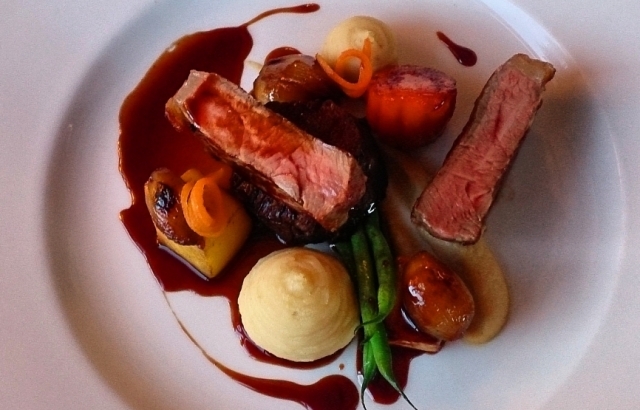 Look no further than the Kildrummy Inn if you love a comfortable bedroom and if you have a serious enjoyment of some of the best food you will eat in what is the heart of Scotland’s larder. Proprietor and Master Chef of Great Britain, David Littlewood and his team led by head chef Alexandria Hay will create for you a journey that you will not forget in a hurry. Co-proprietor Nigel Hake and his friendly team will welcome you to this friendly Inn and will look after you. As you enter the intimate bar with roaring log fire you will feel immediately at ease as Nigel explains the menu. The wine list is a testament to Nigel and you are bound to enjoy his recommendations. 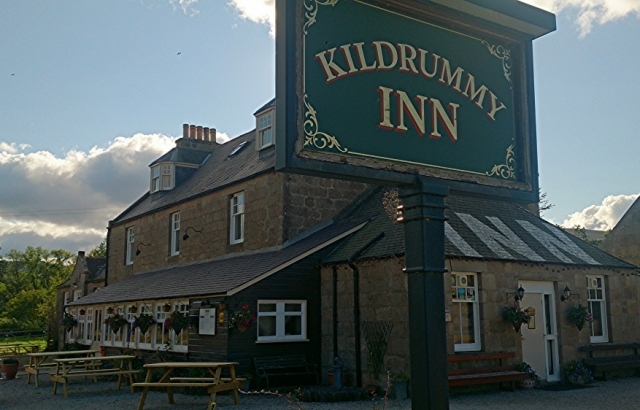 The Kildrummy Inn does not just offer an amazing dining experience, it is also a superb location for exploring this beautiful part of Scotland. If whisky is ‘your thing’ then visit your choice of distilleries, there are 4 within a short distance – then back to the bar where Nigel has a wonderful selection of over 30 to choose from. Also within striking distance there are a fabulous range of Castles for you to visit including Balmoral Castle, Her Majesty Queen Elizabeth 2nd Scottish holiday retreat. Fishing is very popular and Nigel can arrange for up to 5 rods to fish the River Don with clearly defined pools and steams that are a joy to both salmon and trout anglers at most sensible water heights, ghillie services and tackle hire are available by prior arrangement. If you prefer golf then there are 8 golf courses within a short distance from Links to Heathland to Parkland. Whatever activity you might be looking for, or maybe a seriously fabulous dinner and breakfast and a good book in front of the roaring fire, look no further than the Kildrummy Inn.